The first fun website I ever created was called Sexual Positions Free. I made the website when one of the first products to sell well at our ShopInPrivate.com website was the book of sexual positions. I decided that people might really be curious about different sexual positions. It turns out that I was right. 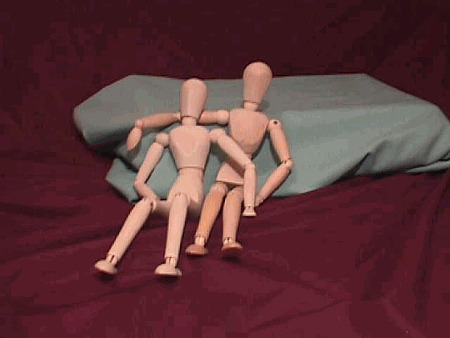 In order to cheaply create a website to demonstrate different positions, I decided that I would use some leftover manikins from a figure drawing class I had taken. Using these figures would also keep the site from being exploitive or disgusting. It also added a level of fun that I liked. Others seemed to have liked it too. SexualPositionsFree.com had over 4 Million visitors last year. Because the website is largely picture based, it can be useful to people all over the world.